The UK’s largest independent history publisher, The History Press has successfully navigated a management buyout and financial restructure working with Independent Growth Finance (IGF). The highly successful Gloucestershire based publisher of over 10,000 historical works, has been in business since 1897. For over 120 years it has covered exceptional people, places and events that have shaped our lives. But it is perhaps the last 18 months which has reshaped its own story, moving from a private equity held business for the last ten years, to restoring private ownership and publishing a list of best sellers. The History Press is committed to revealing little-known stories from the past to new audiences. One such story is that of Queen Victoria and her decade-long close relationship with her Indian Muslim servant Abdul Karim. Victoria & Abdulby Shrabani Basu has sold more than 50,000 copies and was translated into an Oscar-nominated film starring acting royalty Dame Judi Dench in 2017. However, creating the right environment for this long running non-fiction publisher to succeed took flexibility and the right partnerships. The company, after ten years under the stewardship of a private equity firm Octopus Investments, was keen to take control of its destiny and conduct a management buyout. To do so they needed to raise capital, replacing venture capital investment and to restructure debt. The business was already gaining market success, working with a central distributor and great partner, Macmillan Distribution. Macmillan took care of logistics, sales fulfillment and credit control, leaving The History Press to focus on publishing, sales and marketing. Whilst providing immense competitive advantage, this approach made raising finances a little more challenging. 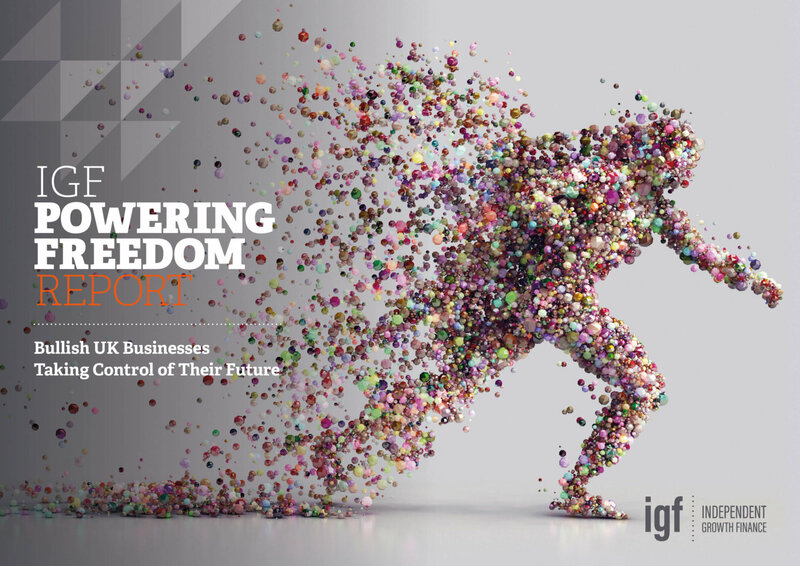 The History Press approached IGF as part of the management buy out as it was looking for a partner who would understand what was possible for the publisher moving forward, and not just looking at past performance. The management team underwent a rigorous selection process that included investigating both high street and specialist lenders. It became clear that IGF could provide the best asset based lending facility, including invoice finance and stock, to support both the buyout and provide the headroom for growth going forward. Interestingly, what other potential lenders had seen as a handicap, IGF viewed positively. It was precisely the combination of The History Press’ commercial prowess, matched with Macmillan Distribution’s logistical and order fulfillment expertise, that allowed IGF to create a flexible facility capable of funding the demand surge created by a best seller like Victoria & Abdul. The MBO was completed in March 2017, with three pivotal executives and owners, Gareth Swain, Laura Perehinec and Jamie Kinnear taking on new roles with Swain as MD. They were able to take the company back into profitability within their first year. The first set of annual results since then, delivered this summer, have shown that operating profits for the year to the end of December 2017 was £207,000, up from a loss of £48,000 in 2016. This was achieved after the buyout enabled the publisher to reorganise its debt structure and replace venture capital investment. As a result, the company’s earnings before interest and tax (EBIT) was £7.7m, up from a loss of £1.6m in 2016. Swain continues,“The re-organisation of our debt structure was a great achievement. It has provided a sound financial base from which we could focus our publishing ambitions. All three of us in the MBO are pleased with our progress so far. We have been able to stabilise the business financially and focus on great publishing.” He added that the team was optimistic about the future. “Understanding of and engagement with history appears is increasingly important in a world of political uncertainty. The History Press intends to play its part in the debate and we are looking forward to seeing this in some of our forthcoming books”.